Kent’s biggest music festival is back and better than ever! Ah, Kent: the garden of England, the gateway to the continent and home to historic landmarks like Canterbury Cathedral and Dover Castle. And it’s the setting of this summer’s highly anticipated Southbeats Festival of course! That’s right, Kent’s biggest music festival, Southbeats, is back after a sell-out first year as one of the county’s most eagerly awaited music events by students and residents alike. For the second year running, Southbeats will welcome over 10,000 people to its brand-new home at Port Lympne Reserve in Hythe which, as home to over 700 wild animals, gives the term “party animal” a whole new meaning! Despite only celebrating its second birthday this year, the line-up at Southbeats Festival is truly explosive, showcasing an enviable selection of artists unmatched by festivals three times the size! Being a one-day event, this insane line-up offers an experience you can’t afford to miss, with some of the UK’s biggest chart-topping DJs, live artists and performers taking to multiple stages across the site. The festival’s main stage, hosted by Kiss FM, will feature performances from everyone’s favourite drum and bass duo Sigma, UK rapper Giggs, pirate radio MCs Kurupt FM, Bristol based jungle duo My Nu Leng performing alongside dance artist Dread MC, drum and bass/jungle producer Shy FX with Stamina MC, BBC R1 DJ MistaJam, South London rapper Yungen and loads more (and breathe). Across the site lies the Ministry of Sound arena, which infamously provides festival-goers with a party like no other, and with such a sensational line-up this year looks to be no exception. Head here for mind-blowing DJ sets from Basement Jaxx, Redlight, Danny Howard, Tom Zanetti & K.O Kane, Majestic, Shift K3y and many more incredible artists and producers. As if that wasn’t enough, the UKF stage promises the best of all things bass, with DJ sets from the likes of Sub Focus and Noisia, a back to back set from DJs Hype and Hazard with drum and bass MC Eksman, electronic DJ and producer High Contrast who will appear alongside Script MC, drum and bass act Sasasas, ground-breaking DnB DJ Mollie Collins performing with MC IC3 and loads more. To VIP, or not to VIP? The answer to this question is, of course, always to VIP! Stepping up your ticket game opens up a whole new world at Southbeats Festival, featuring an exclusive VIP stage with performers and DJ sets (line-up TBA), reserved areas, fast-track entry, private bars and gourmet food stalls, with extra entertainment including beer pong matches, hammocks, photo booths and lots more (the luxury toilets are also worth a mention: no one likes a porta-loo!). While Southbeats is strictly a music event, there’s loads more going on throughout the day to keep revellers entertained. From street food vendors to cocktail tents, pop-up barbers to market stalls and even an on-site funfair, what’s not to love about this jam-packed day of entertainment?! A little tip however: visit the funfair then the food vendors. There’s always that idiot that ruins someone’s day by downing a chilli-dog before catching a ride on the vomit-inducing drop tower. Not clever. With such an impressive line-up and heaps of entertainment, it’s no wonder that Southbeats has quickly become Kent’s biggest music festival. 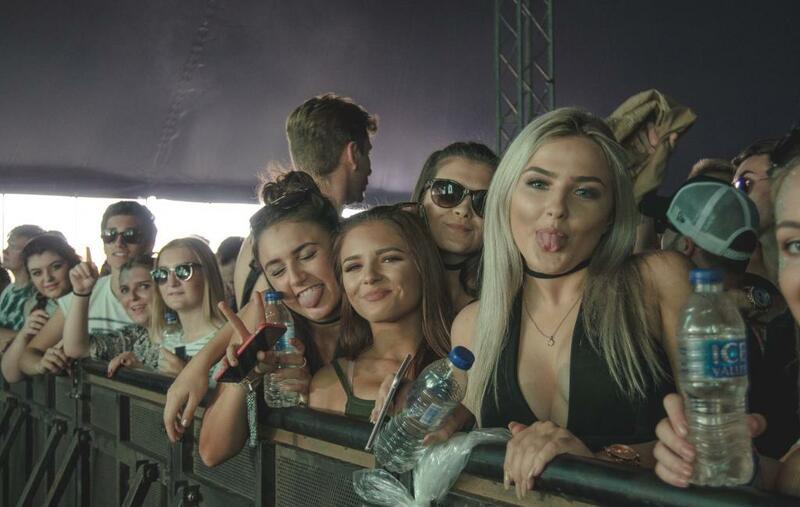 Last year was a sell-out event, and that’s set to be the case this year, so head to http://southbeatsfestival.com/ tickets to bag yours now!